Pay claims for CEOs reveal rows at NSE firms – Kenyatta University TV (KUTV). All Rights Reserved. At least four Nairobi Securities Exchange (NSE) listed companies are battling compensation lawsuits against their former CEOs, bringing to the fore tension that arises when senior management fails to meet performance targets set by the board. The former chief executives, who are ordinarily hired on hefty perks, are now claiming compensation running into hundreds of millions of shillings. They include former CEOs of TransCentury, Olympia Capital, Home Afrika and KenolKobil . The rising pay disputes reflect the load that companies exert on their payrolls to keep their top managers happy, which become a liability when such firms fall on hard times. Nairobi based lawyer Evans Kaimenyi says the rising disputes could also reflect unrealistic severance packages promised to CEOs at the time of hiring. “These executives are mostly hounded out of office, and when you are hounding out someone from office you might find that the executives may not be given sufficient notice and their packages may not be executed as stated in law giving them grounds to go to court,” said Mr Kaimenyi. 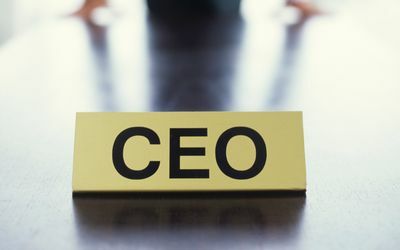 The common thread in all the companies that are battling their former CEOs is that they are all either loss making or have seen their profits drop significantly. Listed investment company TransCentury Ltd is among firms facing a legal battle with its former CEO Gachao Kiuna over unpaid terminal benefits amounting to over Sh21 million. The amount relates to a gratuity of one month for every year of the seven worked, amounting to Sh14.63 million, leave payoff for 45 outstanding days, amounting to Sh4.27 million and expenses paid on behalf of TransCentury amounting to Sh2.73 million. Mr Kiuna resigned from the company on January 11 last year, following boardroom wrangles. Former Home Afrika CEO Njoroge Ng’ang’a has sued for wrongful dismissal claiming Sh36.3 million compensation from the troubled real estate firm. The firm sacked Mr Ng’ang’a in September 2015 after a string of losses. Former CEO of Investment firm Olympia Capital Kenneth Kareithi sued the company seeking the equivalent of an annual salary after his ouster in February 2014. Former Kenol Kobil CEO Jacob Israel Segman, is also engaged in a row with the trustees of the oil marketer’s employee share ownership scheme over a Sh300 million share option he had while he led the firm. Mr Segman resigned from KenolKobil on July 3, 2013 after serving 23 years, and was succeeded by current CEO David Ohana. Former Olympia Capital CEO Kenneth Kareithi also sued the company for compensation after his sacking in 2014. Former Kenya Airways Finance Director Alex Mbugua last year also sued the national carrier for wrongful termination.